Filled with incredible natural scenery, wonderful wildlife encounters, and a stunning cruise amongst soaring glaciers, this fabulous 15-night independent tour is a great introduction to Argentina. 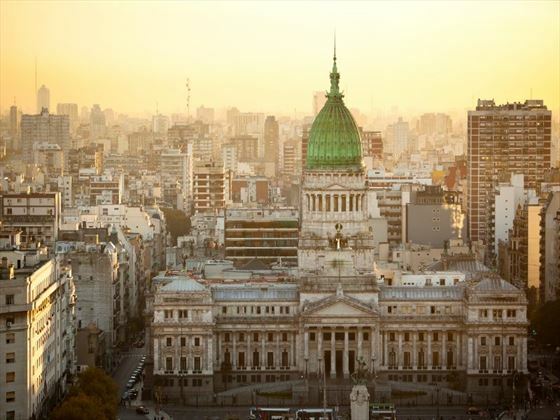 Starting and ending in Buenos Aires, you’ll discover some of Argentina’s most beautiful destinations, including the three hanging glaciers at Los Glaciaras National Park, sailing through Beagle Channel, and discovering the end of the world, otherwise known as Cabo de Hornos National Park. You’ll also explore amazing aboriginal settlements, meet Magellan penguins and see the Iguazu Falls from all angles on this exciting adventure (INS). 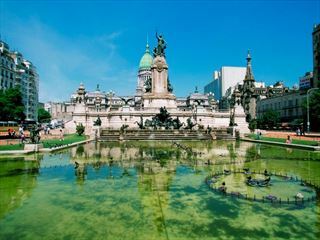 Arrive into Argentina this morning and be met at the airport with a private transfer to your hotel. At 2pm you'll begin by exploring the city on a guided tour that will take you to the most well-known sights, including Plaza de Mayo, La Boca, Palermo and La Recoleta quarters. The day is free for you to explore the city. There’s an optional excursion enabling you to visit a traditional estancia of the Argentine Pampas on the outskirts of Buenos Aires, where you can take part in the everyday activities of the gauchos (locals) and enjoy an authentic Argentine barbecue alongside divine local wines. Begin the day with a transfer to the Metropolitan Airport for your flight to Ushuaia city. Once there, you’ll be transferred to check into your hotel before enjoying an afternoon sail along the Beagle Channel – a path that was once frequented by conquerors, pirates and commercial sailors and now takes you to the picturesque Faro Les Eclaireurs (Lighthouse). In the morning, you’ll visit Tierra del Fuego National Park, a naturally beautiful destination home to the sparkling Roca Lake and beaver dams. You’ll soon arrive in Bahia Lapataia (Bay), the southernmost spot in the world. Between 5-6pm, board the M/V Stella Australis for a magical cruising expedition adventure through the Patagonian fjords and icefields. Begin with a welcome aboard by the crew members and set sail through the Fuegian channels while attending a trendy cocktail party onboard with a chance to meet your fellow passengers. Today your cruise will sail through the Beagle and Murray Channels to Cabo de Hornos National Park in Chile. Known as the ‘end of the world’, this amazing National Park was designated a Reserve of the Biosphere by UNESCO in 2005, and is home to untouched flora and fauna, including Magellanic and Antarctic penguins. In the afternoon, you will sail to Bahía Wulaia back in Argentina, an historical destination that was one of the biggest aboriginal settlements in the area. Now, it’s a beautiful spot brimming with vegetation, and offering a stunning vantage point that’s found via a Magellan forest of canelos, ferns and Chilean evergreens. Passengers have a choice of three hikes (of increasing degrees of difficulty) that ascend the heavily wooded mountain behind the bay. On all of these you stroll through an enchanted Magellanic forest of lengas, coigües, canelos and ferns to reach panoramic viewpoints overlooking the bay. Your cruise today sails around the secluded Brecknock Peninsula, moving eastwards to enter the Beagle Chanel. When you wake, you'll find yourself entering Pia Fjord, where you'll board the Zodiacs for a shore excursion to Pia Glacier. Once there, you'll embark on a short scenic hike ending with panoramic views of the magnificent glacier, or you could opt for the more difficult wak up a lateral moraine to see the equally as spectacular old Pia Glacier. 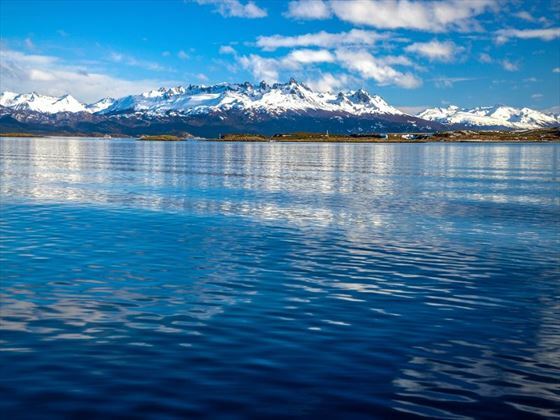 You'll then cruise further along the Beagle Channel, anchoring near Garibaldi Glacier for another hike. 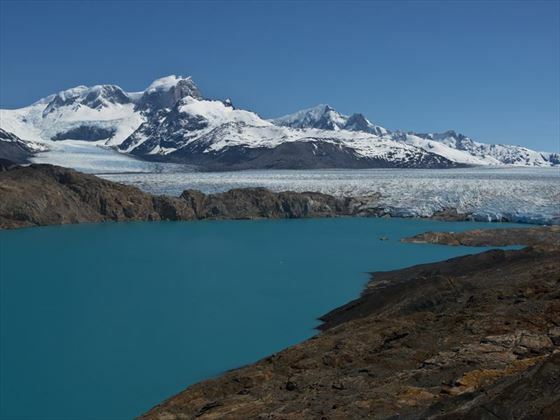 One of only thee glaciers in Patagonia that gains mass instead of maintaining or shrinking, your hike to this unusual phenomenon takes you through Magellanic forest to a cascading glacial waterfall and amazing vistas of the glacier and fjord. The walk is very demanding, so you'll need good fitness levels. If you don't fancy the hike, you can stay on board the ship and enjoy striking views of the Garibaldi Glacier from the upper decks. From the early hours of the morning, the ship will sail through the Cockburn Channel to enter Agostini Sound. This area guarantees beautiful views of the glaciers that descend from the middle of the Darwin Mountain Range. You'll disembark and enjoy a leisurely walk around a tranquil lagoon formed by the melting of the Águila Glacier, whilst the afternoon will be spent on a Zodiac for a closer look of the Condor Glacier. Look out for the Andean Condors that swoop nearby. 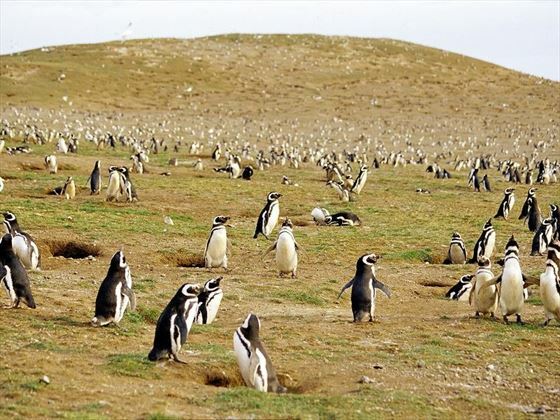 It’s an early start today, docking at Isla Magdalena and heaqding ashore to see its magnificent Magellan penguin colony – home to over 120 thousand penguins – and also discover the lighthouse that guides ships when they’re crossing the Magellan Straight. Weather permitting, your trek to see the penguins starts at the break of dawn, passing through thousands of the cute animals to get to a small museum inside the vintage 1902 lighthouse. If you embark on this tour in April when the penguins migrate, you’ll instead dock at Isla Marta to see its equally as wonderful colony of seals on a ride aboard Zodiacs. Your day begins with a visit to Torres del Paine National Park, a truly astonishing destination home to a soaring Andean mountain range, stunning glaciers, cascading waterfalls and picturesque lakes. You’ll then visit the curious Cueva del Milodón, a natural monument comprising of several caves and a rock formation called Silla del Diablo. You’ll also find a life-sized replica of the famed mammal of which the monument is named after, an extinct creature whose remains were found here. Today is a simple day of catching a bus to El Calafate, before transferring to your hotel for the night. Journey almost 50 miles from the town of El Calafate to Los Glaciares National Park, which offers the most sensational views of the Perito Moreno Glacier. You’ll embark on a brilliant Sailing Safari through the Canal Sur, allowing you to get enviably close to the glacier’s walls – an incredible experience. Today is free for you to explore at your own pace - we suggest visiting some of the eight other impressive glaciers, and Upsala and Spegazzini are two of the best. Begin the day with a flight back to Buenos Aires. In the evening, you’ll spend an exclusive night at Casa de Tango, enjoying a delicious meal and watching a vibrant Tango show. Early in the day you’ll board a flight to Puerto Iguazú. 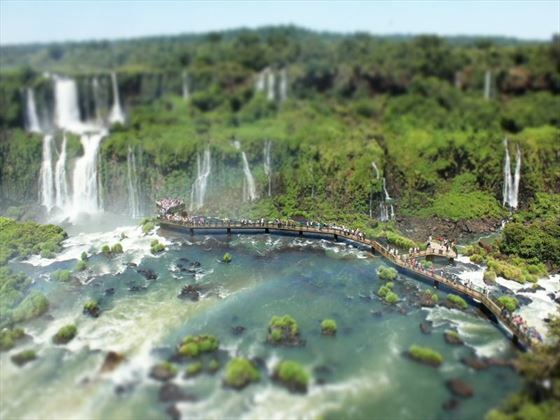 Later on, you’ll explore the Falls on the Brazilian side, a wonderful sight and an amazing natural attraction to visit. Today will be spent visiting the Argentine side of the Falls, exploring the upper and lower circuits in order to get an impressive, close up view of this natural phenomenon. You’ll also discover the Garganta del Diablo (Devil’s Gorge) via a scenic train that journeys through the park. There’s the option to sail through the river to reach the base of the falls – we’d recommend not missing out on this awesome experience. This marks the end of your tour. You will board a flight to Buenos Aires, where you can either board a flight home or carry on your adventure. 4 night cruise aboard the M/V Stella Asutralis and all activities, meals aboard. 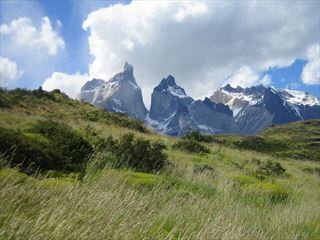 Enjoy a 13-night independent tour taking you through the highlights of Argentina and Chile, beginning in the enticing Buenos Aires enjoying local wines and steaks before embraking on a journey to the 'end of the world' on Patagonias furthest tip, located in the gateway to Antarctica. Explore the immensity of the glaciers and get up close on sailing trips seeing and hearing the icebergs form. 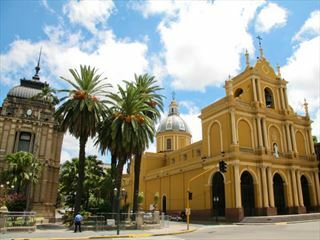 End with a couple of days in the city of Santiago - learn about its history and witness the stunning Andean mountain range.